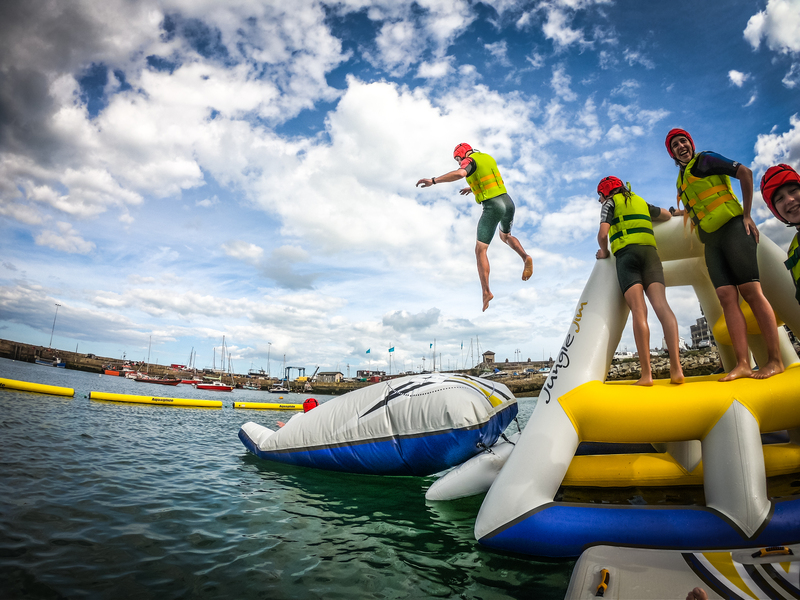 Whether you are turning 10, 18 or 35 an hour on the aqua park is a great activity for any birthday party celebration. Bring your friends to the park and go for a bounce, splash and slide. If you’re feeling competitive, why not challenge your friends to a race across the monkey bars and over the King of the Mountain. 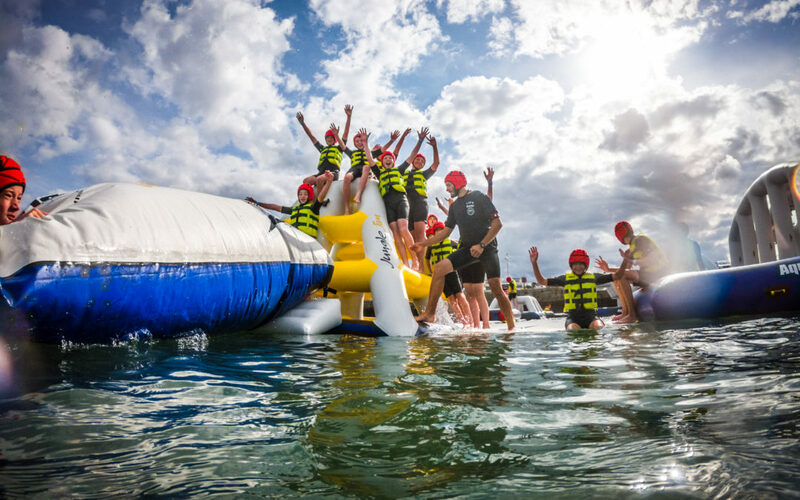 You don’t need to have any special equipment, we provide wetsuits, buoyancy aids and helmets to all participants. 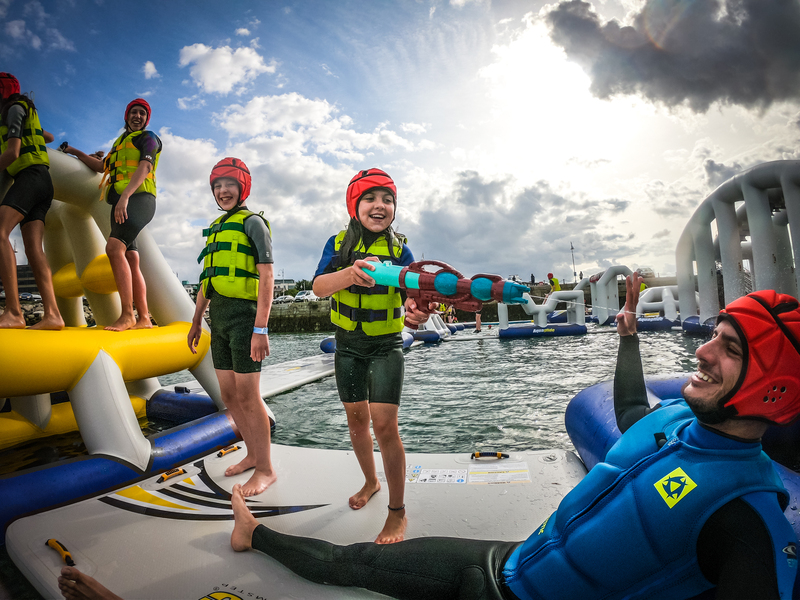 For your time with us you should plan around 2 hours including time for check in and getting changed and around one hour on the park – if you can’t get enough time on the water, book a double session for 2 hours and get the second hour half price. SPECIAL OFFER FOR BIRTHDAY PARTIES FOR SEPTEMBER 2018: The birthday child goes free when you book 10 or more kids for a party. Private hire is possible for 30-50 people. 10-15 year olds can use the park on their own, but need to have a parent/guardian on site for the duration for their session. 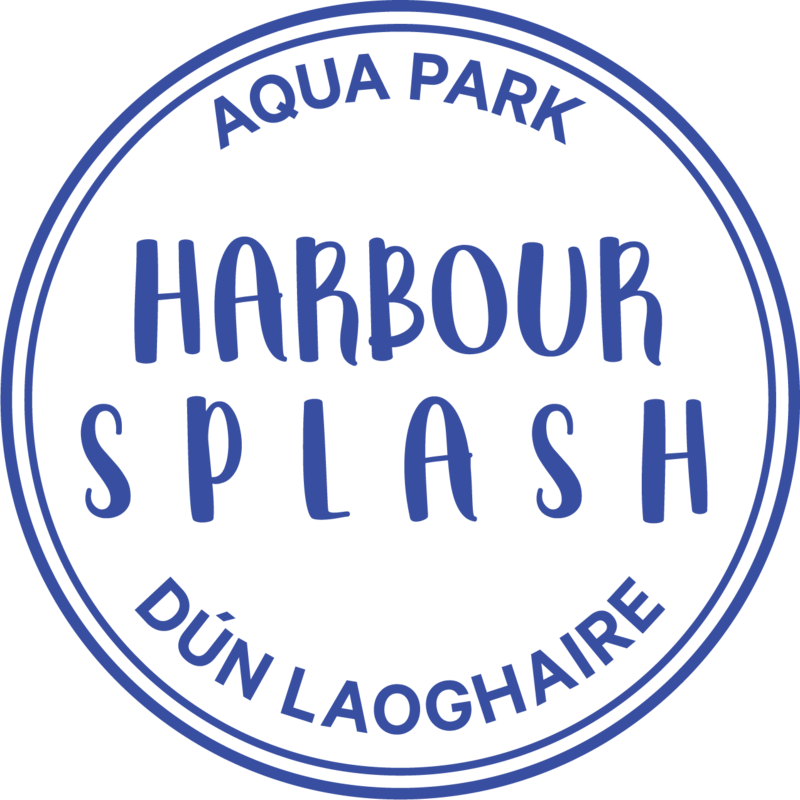 Email us at info@harboursplash.ie or call us in 01-5240602 with your enquiries. Check availability on our booking calendar now. Looking for something else? 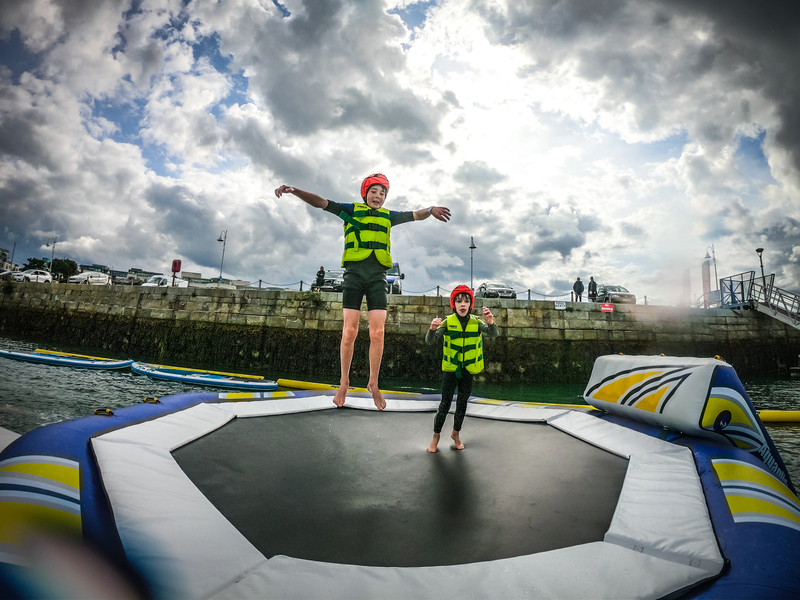 Find info on school tours, adult group sessions or family days out.